I’ll tell you what hermits realize. If you go off into a far, far forest and get very quiet, you’ll come to understand that you’re connected with everything. That every little insect that comes buzzing around you is a messenger, and that little insect is connected with human beings everywhere else. You can hear. You become incredibly sensitive in your ears and you hear far-off sounds. And just by the very nature of isolating yourself and becoming quiet, you become intensely aware of your relationship with everything else that’s going on. So if you really want to find out how related you really are, try a little solitude off somewhere, and let it begin to tell you how everything is interdependant in the form of what the Japanese call ‘jijimugi’. ‘Ji’ means a ‘thing event,’ so it means ‘between thing event and thing event, there is no block.’ Every thing in the world, every event, is like a dewdrop on a multidimentional spider’s web, and every dewdrop contains the reflection of all the other dewdrops. 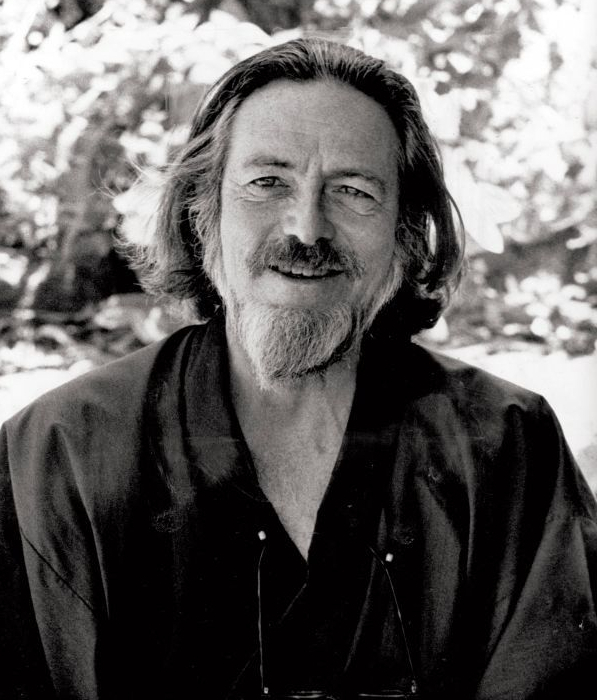 Previous articleAlan Watts: What Do You Desire? Next articleE.J. Gold: Why Are You Here?